For anyone who has witnessed the spectacle of Canadian Speedway racing, names such as John Kehoe, Len Dillon, and their counterparts evokes some pretty spectacular images on the race track! Consider that these bicycle like framed 500cc machines are reported to have acceleration on a par with a Formula One car, have no brakes, no rear suspension and no gears. And, depending on the rules structure, may run on methanol for increased power output! Running on dirt tracks, they spend most of the time in a controlled full lock drift under full power with an impressive rooster tail of shale or loose gravel blasting from their rear wheels. They also run shoulder to shoulder in packs of four through a heat race elimination process. As the elimination heats are run off, through the course of the event, the competition gets more intense and fiercer. This is something not for the faint hearted, either riding or spectating! It truly is a spectacular form of motorcycle racing! 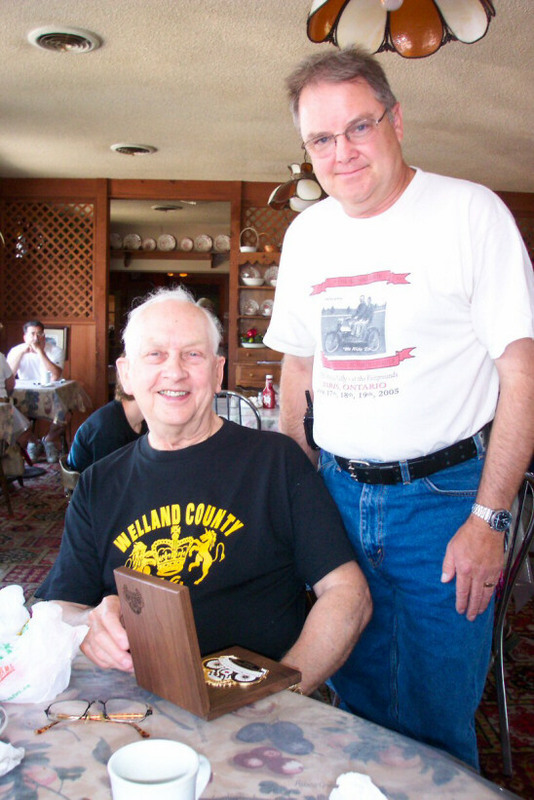 Now in his eightieth year, Stan Bradbury moves at a more conservative and leisurely pace that he used to for many decades of Speedway racing. He actually started racing in 1945 in his native England. Speedway racing in England in those years was as it is now, organized something akin to our Hockey system. And, and one might say, as equally competitive and difficult as one climbed the ladder from the lower ranks through to the higher levels. 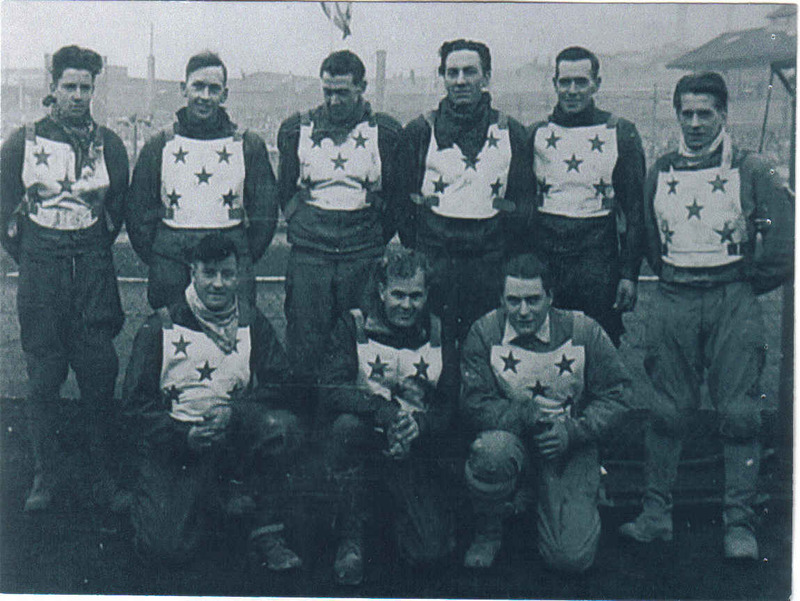 Stan served his apprenticeship at these lower ranks in speedway, taking different training schools along the way to hone his craft, and steadily working his way up to the higher levels or Divisions as they are referred to. 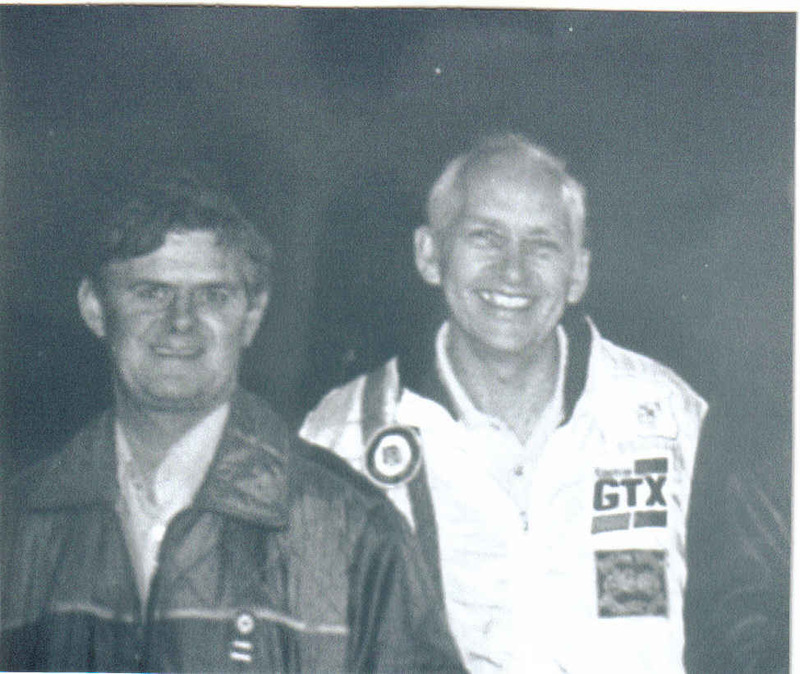 Racing predominately in England, he also raced in Sweden and Ireland, and it was while in Ireland that he met Mike Tams. Mike was a Canadian from Winnipeg who was racing as a professional in the British Isles. It was perhaps this chance meeting that led Stan, his wife Dorothy and their two children eventually to immigrate to Canada in 1957. 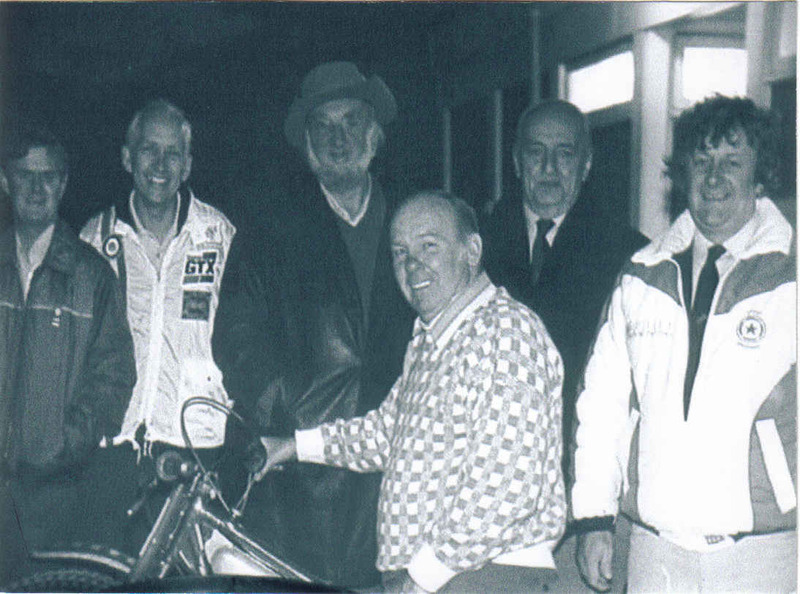 Stan brought his passion for speedway racing with him! Speedway racing in Canada at that time was for all intents and purposes non existent. 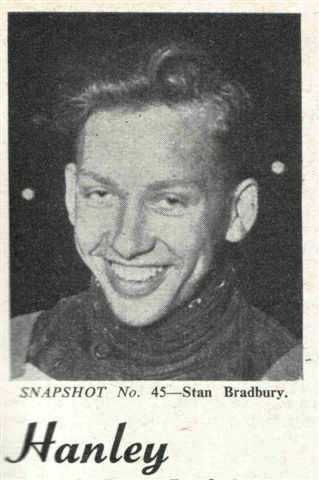 So in 1959, just two short years after his arrival here, Stan Bradbury embarked on a mission to get speedway racing established in Canada. It wasn’t an easy task. His first attempt was a venture in Dundas, Ontario. It failed. 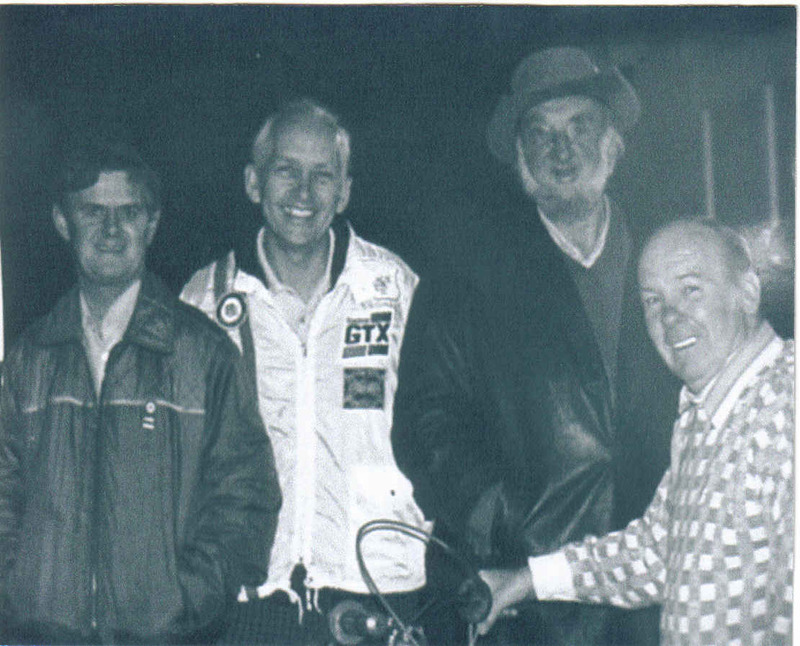 For the next 10 or more years Stan together with Mike Tams, Bob Fisher and a few other stalwarts doggedly performed demonstration races at dirt tracks around Ontario introducing and showcasing the entertainment value of speedway. Finally in 1972, some thirteen years later, a breakthrough! Stan and company met a shy, quiet and unassuming gentleman by the name of Wesley Pierce at a short track event in Guelph, Ontario. Wes Pierce as it turned out was heavily involved in the Welland County Speedway track and invited the speedway riders to try out his track in Welland. Being relatively close to the US border, news of the speedway action at Welland caught the attention of the Robinson brothers in Spencerport near Rochester. This resulted in yet another invitation, and the beginnings of a cooperative arrangement that would see an exchange of riders at different race meetings. Finally, primarily through the dogged persistence, determination and passion of Stan Bradbury Speedway racing was established in Canada! 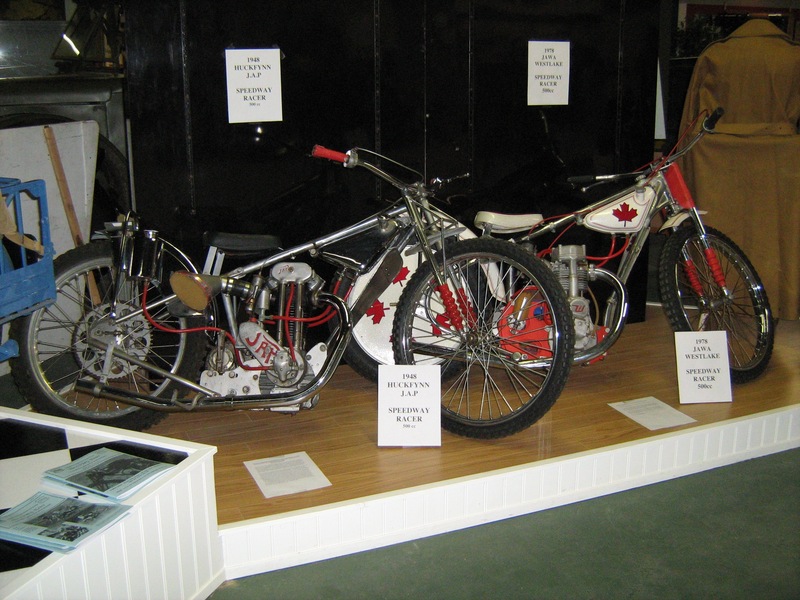 Stan’s’ contributions to Speedway racing in Canada extend yet further. He helped numerous riders learn the ropes and hone their skills. He did machine preparation, maintenance and repairs, and he produced the steel shoe riders use in Speedway and dirt track that are not readily available at your local shoe store. His extensive mechanical abilities earned him the “Best Motorcycle Mechanic in Ontario” Award in 1982. This is a Norm Cornwell Memorial Award voted on by the membership on the CMA. Stan remains actively involved in the Canadian Speedway Racing Association, an organization of which he is a founding member. 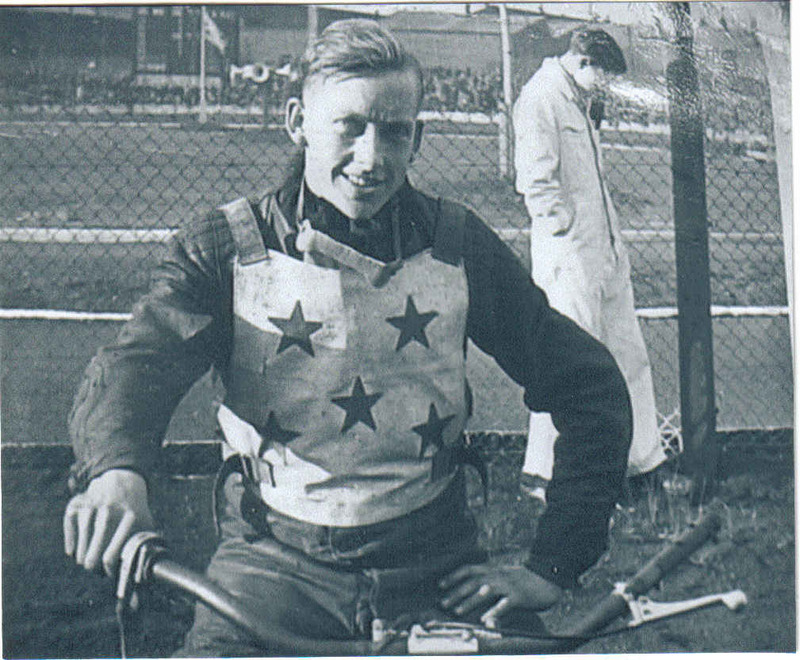 A further indication of the total dedication of Stan Bradbury in promoting this sport about which he was so passionate, and to which he has virtually dedicated his life, is the authorship of a book entitled “Speedway Notes”. He did this purely on his own initiative and as a gesture to help those entering in and advancing in Speedway racing. No doubt many have benefited from this. In addition to Speedway Notes, he also developed the Speedway Racing Rulebook which, with one or two minor changes is still being used by the CMA today as he wrote it.